In response to the Human Spaceflight Committee call for an additional $3 billion for NASA, Congresswoman Suzanne Kosmas and Congressman Ken Calvert have created a letter calling on the President to increase NASA’s funding. They need your help! Please call your Congressman and Senator TODAY and ask them to sign on to the Kosmas-Calvert letter (reproduced in its entirety below). To find your representative visit: www.nss.org/legislative/ (at bottom of page). With the recent release of the Final Report by the Review of U.S. Human Space Flight Plans Committee (Augustine Committee), we invite you to join us in sending a letter to President Obama urging him to make the National Aeronautics and Space Administration (NASA) a national priority and work with the Congress to provide the funding necessary to ensure a robust human space flight program (the Summary and Final Augustine Committee reports can be found at www.nasa.gov/offices/hsf/home/index.html). The Augustine Committee’s findings that our nation cannot conduct meaningful human exploration beyond low-Earth-orbit under current budget guidelines should serve as a wake up call. For too long, NASA has been given funds that do not match its mission. This insufficient funding has delayed the development of NASA’s next generation spacecraft, leading to an extended gap in domestic access to space. To enable a human space exploration program that our nation can truly be proud of, the Augustine Committee recommends an increase of at least $3 billion annually over the FY10 budget profile. Although this level would not fully restore the funding originally budgeted for NASA’s next generation human space flight program, it will allow for meaningful exploration and ensure we maximize the return on our investment. NASA’s human space flight program and the impending gap impacts nearly every state, with contractors and suppliers large and small spread out across the nation. To find out NASA’s impact on your state and district, please visit http://prod.nais.nasa.gov/cgi-bin/npdv/map.cgi. We must ensure the President works with Congress to take this unique and fleeting opportunity to show a true commitment to NASA in order to sustain our global leadership in science and technology, address national challenges, and inspire our youth to pursue math and science. We face many critical decisions in the coming months that will affect America’s human space flight program for decades to come and hope you will join us in urging the President to take action in a timely manner. Deadline to co-sign is Noon on Tuesday, November 17th. Please contact Carrie Chess with Congresswoman Kosmas at [email protected] or 5-2706 or Deena Contreras with Congressman Calvert at [email protected] or 5-1986 to sign on or if you have questions. As Members of Congress who greatly value the contributions of the National Aeronautics and Space Administration (NASA) to our nation, we appreciate the hard work of the U.S. Human Space Flight Plans Committee. With its final report available now, we look forward to renewed communications between the Administration and Congress about America’s human space flight program. We write in strong support of receiving a Fiscal Year 2011 budget request which truly supports this core element of NASA’s mission. 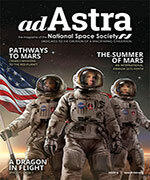 While evaluating options for future of human space exploration, the Augustine Committee concluded that regardless of the direction or the details of the program, an increased level of long-term, sustainable funding must be a major component. 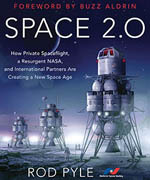 The Review Committee’s finding that, “Human exploration beyond low-Earth orbit is not viable under the FY 2010 budget guideline” demonstrates that NASA’s underfunded budgets over the past several years have slowed the pace of exploration, depleted resources, and frustrated the development of new space systems. We believe an increased level of funding is essential to ensure NASA has the resources needed to meet the mission challenges of human space flight. Currently, NASA is funding the development of the next generation human space flight systems with partners that bring decades of experience in developing and operating complex space systems while also encouraging new entrants to the space flight industry. The $3 billion annual increase recommended by the Committee would not fully restore the funding originally budgeted for the next generation programs. However, the increase would make a considerable difference in our ability to have a space exploration program to ensure that our nation maintains its global leadership position. A significant investment must be made given NASA’s contributions to America’s economic and national security. The International Space Station (ISS) should remain operational as long as it can be productive without being constrained by an arbitrary, budget-driven termination date. The National Aeronautics and Space Administration Authorization Act of 2008 designated the ISS as a U.S. National Laboratory to conduct research for other Federal agencies and the commercial sector. Extending the ISS, at least through 2020, is necessary in order to maintain and improve important international partnerships, maximize the return on our nation’s investment, and spur discoveries that will enable exploration of our universe and improve life here on Earth. As you may know, NASA is supported by tens of thousands of highly skilled and experienced men and women who make up the civil servant and contractor workforce. These space professionals are a critical national resource and contribute to a vital industrial base that supports civil, military, and commercial space. If we allow a gap in human space flight our nation will have lost valuable skills that will be costly and difficult to replace. In addition, we also will have given up on our hard-won space preeminence over other nations, including Russia and China, who will surely step in to fill the void. We wish to impress upon you the significant and fleeting opportunity we have to ensure that our nation continues its preeminence in human space flight. Instituting a cohesive and comprehensive plan with clear direction for NASA’s future policies depends on leadership and the commitment to follow through with adequate funding. This can only be accomplished if it is established as a national priority through Presidential leadership. We know that you share with us the enthusiasm that is generated by a bold human space flight program. We look forward to receiving your Administration’s proposal and working with you to ensure a robust, cutting edge and inspirational human space flight program worthy of our great nation.